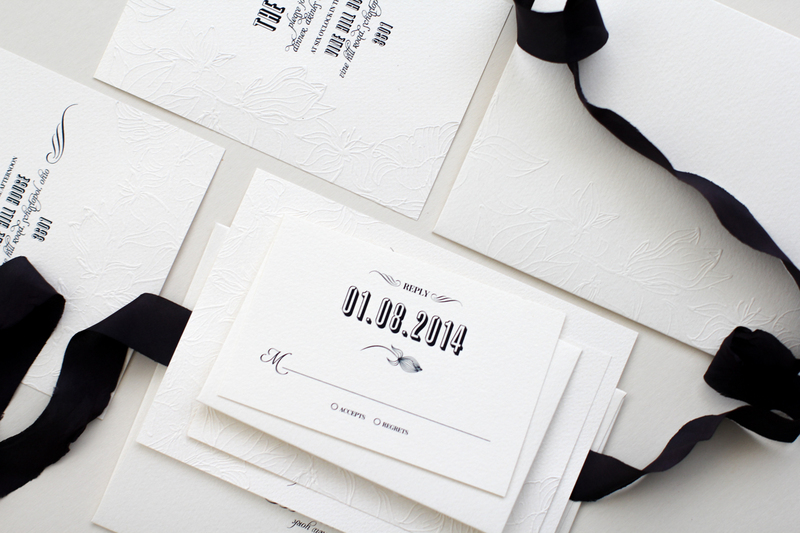 Minimal, lush, fresh, The Vine marries the intricate charm of art nouveau whimsy and floral lines with striking, clean styling to create a true contemporary classic. 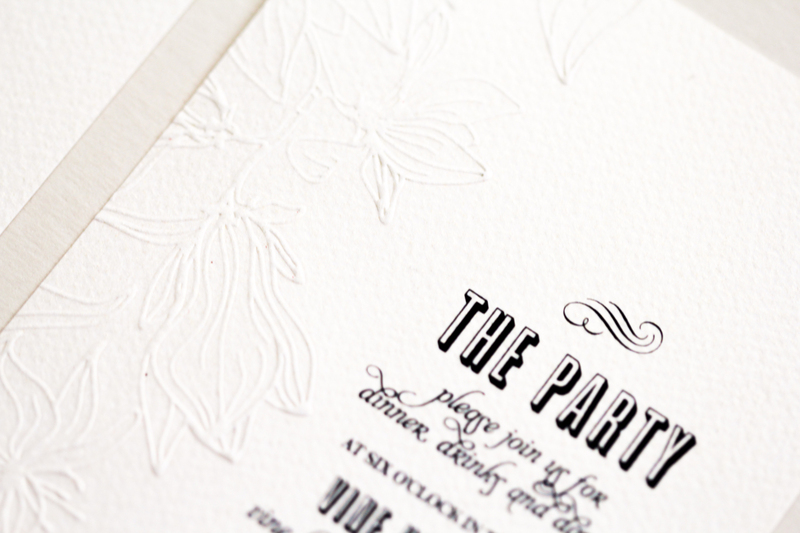 Embossed floral with bold type. 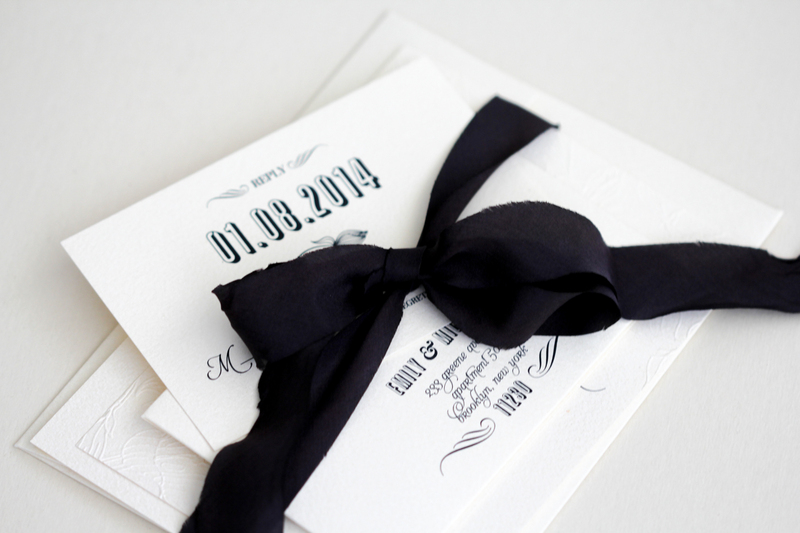 Specially Designed for Emily & Michael who were married at the Vine Hill House.